Inspired by Classical composer, Debussy - Clair de Lune, this aerial act is pure dreamy elegance. 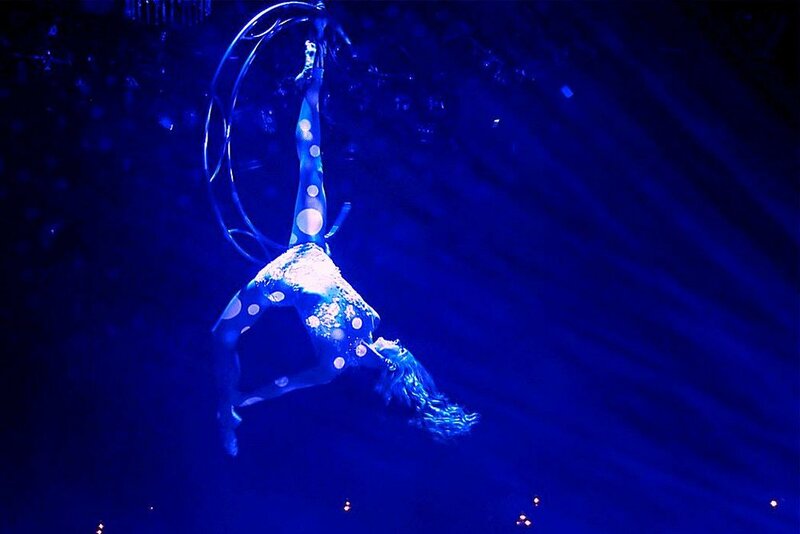 Spinning and flying high into the air on a shimmering Moon, Air Candy effortlessly dances with the moon, bending into impossible positions, gracefully demonstrating acrobatic elegance. This is a classical, elegant act. 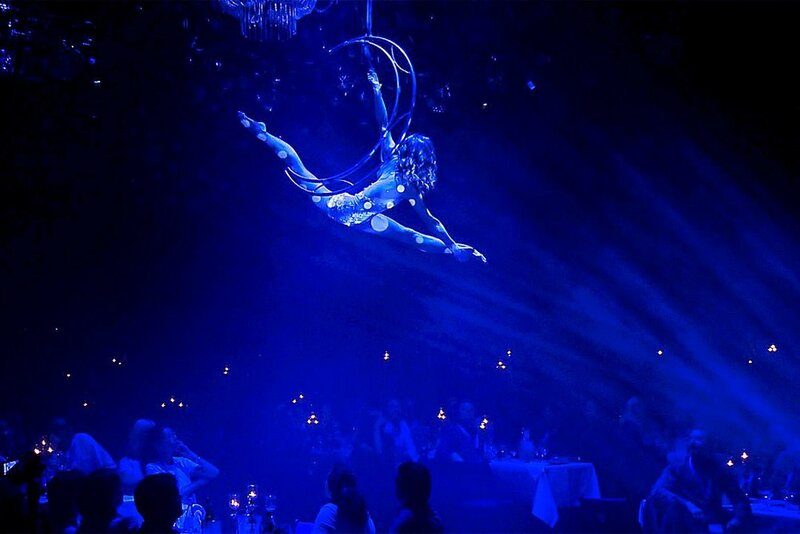 Perfect for a high class event adding a touch of magic to your evening. The minimum height requirement for this act is 5 meters.